I am a postdoc with Francesco Orabona at Boston University. In Fall 2019, I will join Computer Science Department at the University of Arizona as an assistant professor. I was previously a postdoc with Robert Nowak, Rebecca Willett, and Stephen Wright at UW-Madison Wisconsin Institute for Discovery under optimization theme. I received my PhD in 2015 at University of Wisconsin-Madison, advised by Xiaojin (Jerry) Zhu. I obtained a B.S. 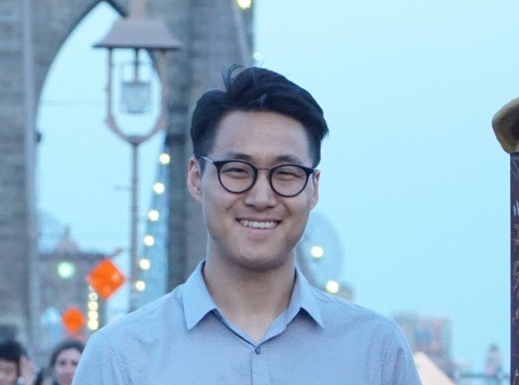 in computer science with a minor in mathematics from School of Computing, Soongsil University, South Korea. My research focuses on sequential decision-making in feedback loops (i.e., the multi-armed bandit problem). I also work on online optimization and machine learning applied to psychology. Multi-armed bandit is a state-less version of the reinforcement learning (RL). However, bandits usually enjoy stronger theoretical guarantees and have abundant real-world applications. Informally speaking, bandits learn to make better decisions over time in a feedback-loop. The decisions necessarily affect the feedback information, and the feedback data collected so far is no longer i.i.d. ; most traditional learning guarantees do not apply. Bandits are actively being studied in both theory and applications including deployable web service. Also, the cartoon caption contest of New Yorker is currently using a multi-armed bandit algorithm to efficiently crowdsource caption evaluations (read this article)! 04/17: At AISTATS, “Improved Strongly Adaptive Online Learning using Coin Betting”. 03/16: At Soongsil University, two talks on human memory search. 11/15: At HAMLET (interdisciplinary seminar series at UW-Madison), “Measuring semantic structure from verbal fluency data with the initial-visit-emitting (INVITE) random walk”. 03/15: At TTIC, “Learning from Human-Generated Lists”. Program Committee / Reviewer: COLT’19 (subreviewer), IJCAI’19, NIPS’19, IEEE Transactions on Signal Processing, ICML’19, AISTATS’19 ,NIPS’18, AISTATS’18, AAAI’18, NIPS’17, ICML’17, COLT’17 (subreviewer), AISTATS’17, ICML’16. Page generated 2019-04-11 13:57:40 EDT, by jemdoc+MathJax.